There's been a marked jump in recent months in the number of options facing Linux fans interested in buying hardware with their favorite operating system preinstalled, but just recently one came out that seems particularly notable. 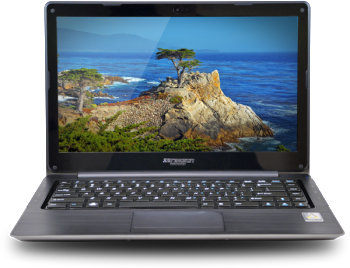 It's ZaReason's UltraLap 430, which has been widely billed as the first Linux ultrabook to hit the market. “It's one of my pet peeves that the world's most robust, high-end software is so often housed in low-end, unappealing machines or, worse, tweaked to work on machines that were built for Windows,” ZaReason CEO Cathy Malmrose told me by way of introducing the new device. “Nothing wrong with Windows, just that building for FOSS and building for Windows is very different on the OEM end. Regular readers may remember ZaReason's high-end Verix 2.5 laptop, which I covered earlier this year. Now, its UltraLap 430 offers an array of compelling features including Intel HD 4000 graphics, third-generation Ivy Bridge technology, and fast boot-up times thanks to Intel Rapid Start Technology. With a 14.1-inch HD (1366-by-768) glossy LED backlit display, the PC also offers HD stereo speakers, Bluetooth, 802.11 B/G/N WiFi, a multigesture touchpad, a 1.3-megapixel HD webcam, and a 3-in-1 card reader with SD/MMC/MS support. An i3-3217U 1.8GHz processor is included, or for $49 users can upgrade to an i5-3317U. For memory 4GB of DDR3-1333 memory is included, as is a 32GB mSATA SSD. Weighing some 3.5 pounds, the UltraLap 430 is available with a choice of Linux operating systems, including Ubuntu 12.04 LTS as well as Debian, Linux Mint, Fedora, and others. Pricing starts at $899. Of course, at that price, the UltraLap 430 certainly isn't at the low end of the ultrabook market. On the other hand, as I've noted before, buying hardware with Linux preinstalled makes sure you avoid any headaches that may arise from getting everything to “just work” and it also helps ensure that usage statistics for the free and open source operating system are a little more accurate by making sure your operating system “vote” gets officially counted. Are you tempted by the UltraLap 430? Please leave your thoughts in the comments.